Also written by Alia Hakki. How many Bay Area kids does it take change a lightbulb? NONE, because it’s always LIT. Growing up and spending much of my adult life (so far) in the Bay Area has enriched me in ways beyond expression, both in cultural and artistic terms. 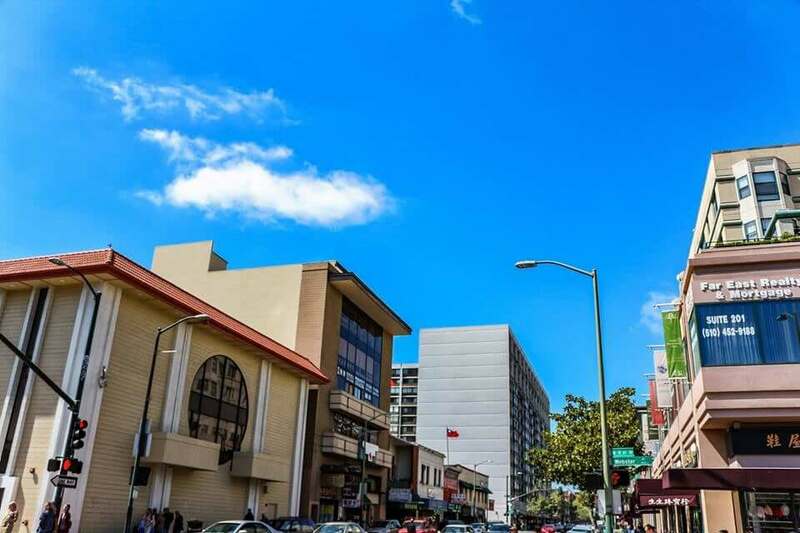 In a city like Oakland, you can feel the communal bond thriving in the atmosphere; this famous hub brims with so much color and life that you’ll want to stay forever. 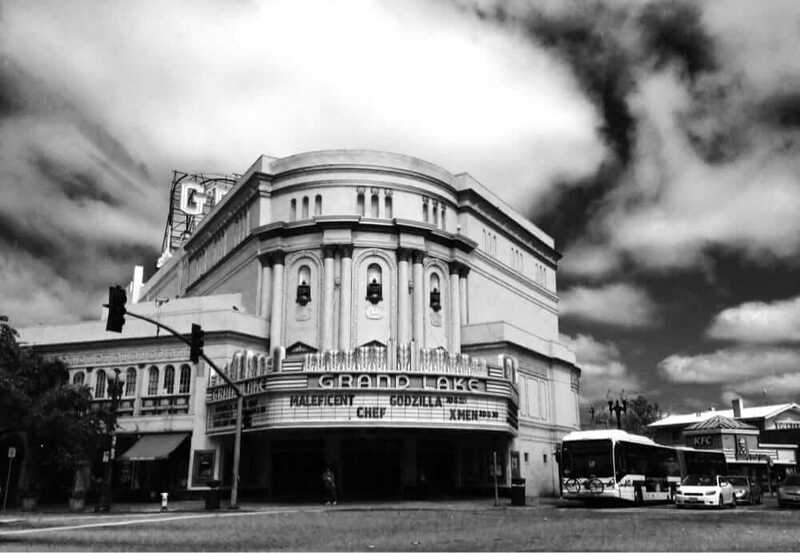 Not sure what things to do in Oakland with only a day to spare? Open the Golden Gate to a memorable day with these 24 things to do in Oakland. An early morning like this one warrants some coffee. 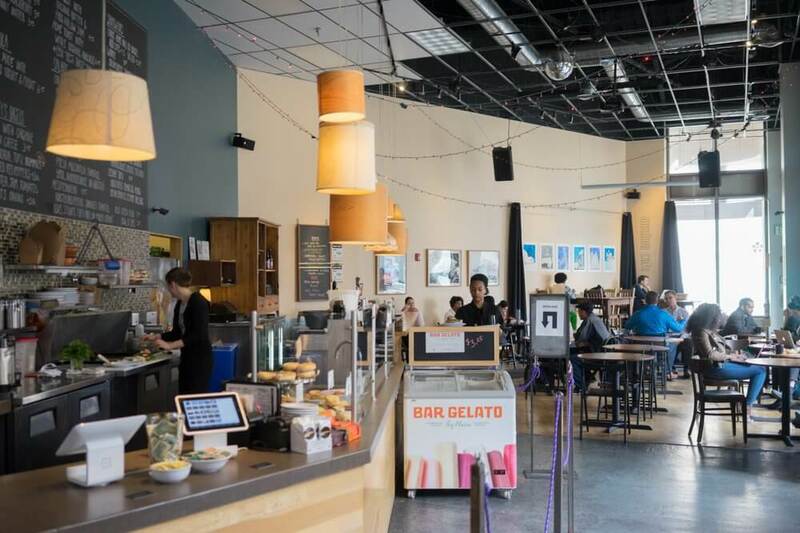 This café serves wine and beer if coffee doesn’t quite do it for you. Awaken also hosts open mic nights for slam poets. Drink up, enjoy the sophisticated ambience, and― why not? Check out some of the awesome art exhibitions inside by local creators. 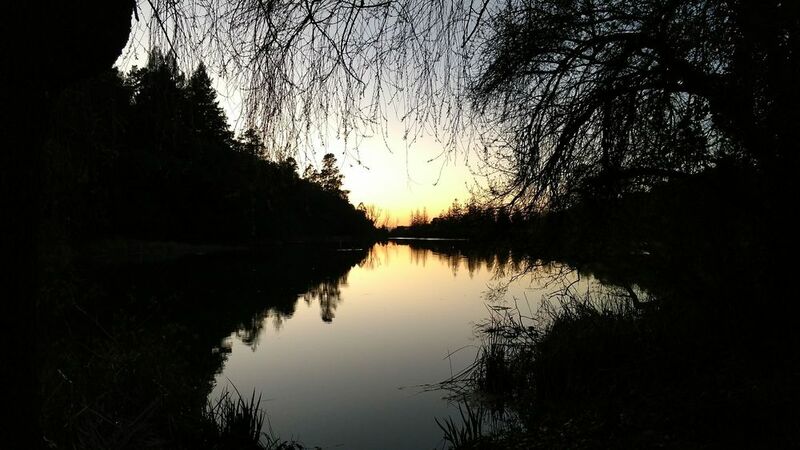 Now that you’ve had your caffeine fix, Joaquin Miller Park lets you escape the ever-present city life of Oakland. “I like to go to Joaquin Miller Park because it has great beetles and ivy laces and trees and sprinkles of newly germinating grasses line all the paths,” said UC–Berkeley senior Jessica Maccaro. In this 500-acre park, you can participate in a flurry of activities including picnicking, riding bikes, or even walking your dog. 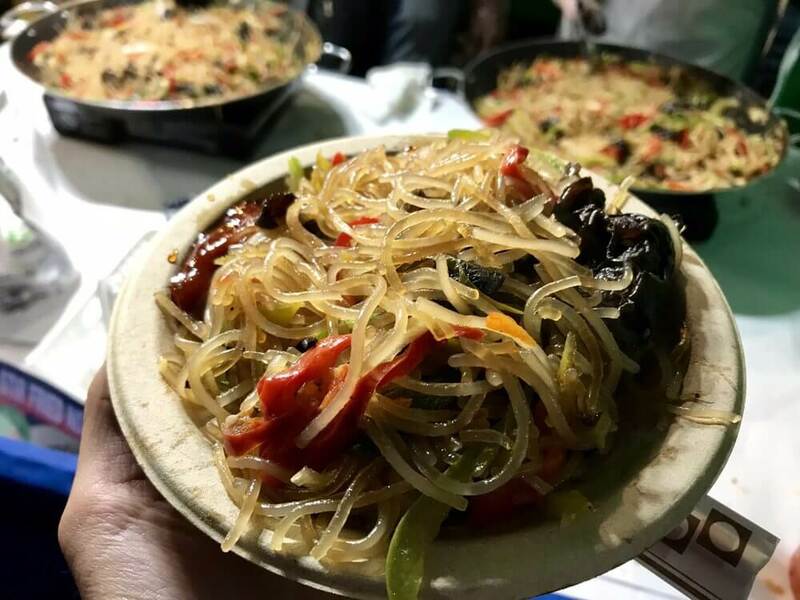 “I like to make trips to the KP Asian Market because it has all the best ingredients to make great Korean food and it also has yummy snacks,” said UC–Berkeley senior Sarah Hagadone. This Korean Market has food and ingredients both known and new to the general populace. You’ll be drooling thankfully when you walk into this gem. Plus, you can get food even if you’re balling on a budget. If you feel like snagging something quick to eat, you can pick up some prepared food on-the-go to snack on while you explore. Tired of burning your wallet at Whole Foods? 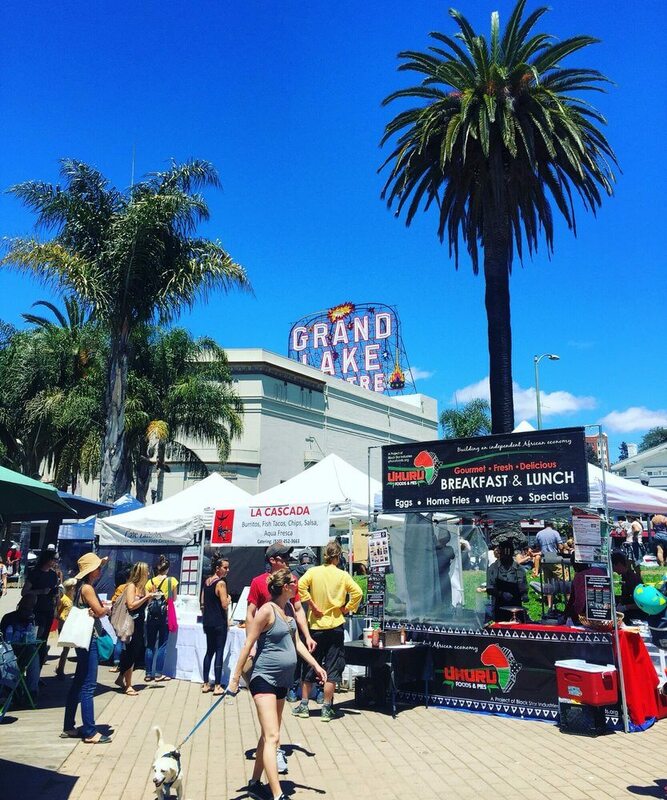 Head over the Grand Lake Farmer’s market to get fresher food for better prices. You can only visit Saturdays from 9 a.m. to 2 p.m., so plan accordingly to ensure you can explore and buy the gorgeous flowers, jewelry, coffee, fruit, vegetables and juice from stands occupied by knowledgeable and warm people who value eating and living well. If you have a little sibling, or simply consider yourself a Steve Irwin of our time, stopping by here would make an Oakland trip for a newcomer. This zoo cares for a variety of different animals such as Sun Bears, African Elephants and Bison. 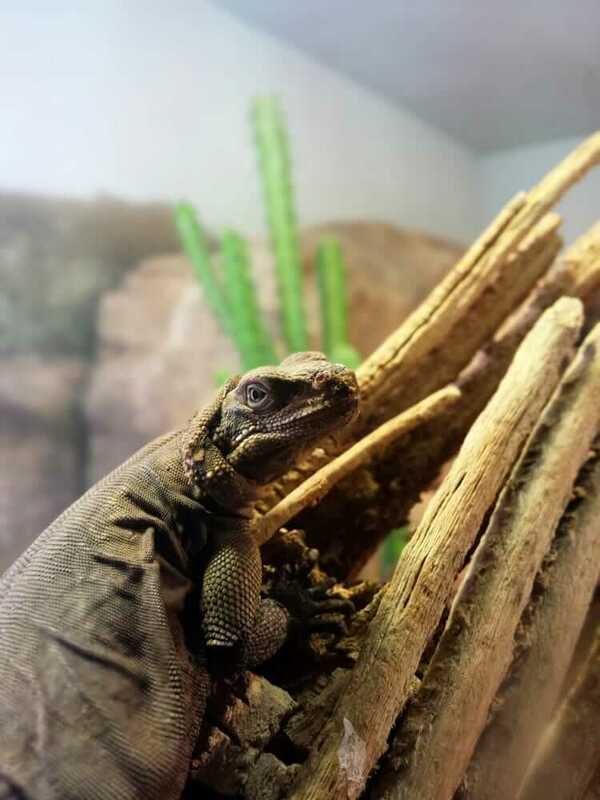 The Oakland Zoo houses animals that originally hail from the African savanna or tropical rainforests. Oh, and did I mention you can test your adrenaline on exciting rides? Be sure to try out the safari ride and pilot training. From top-notch sweets to artistic businesses, Fruitvale enriches Oakland with delicacies, insight and fun experiences provided by Latinx-based businesses. 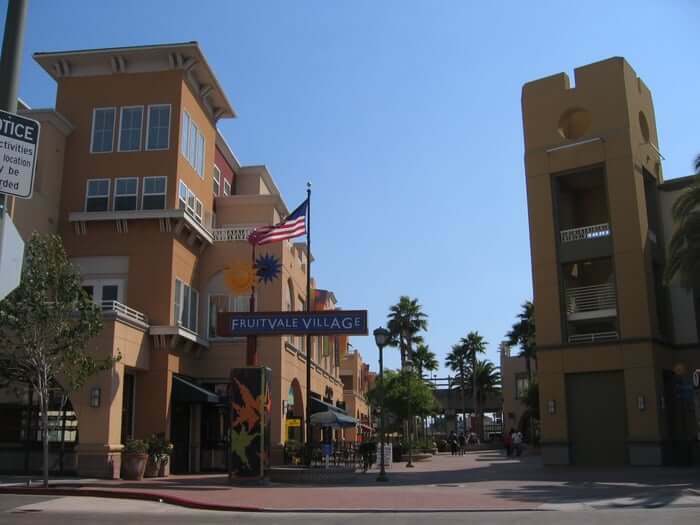 “I love visiting Fruitvale when I get the chance. It’s the best place for pan dulce, taquerías and Latinx cultura. Fruitvale makes me feel like I’m in a community because folks are often so welcoming,” said UC–Berkeley senior Kristen Flores. Don’t forget to stop by Pena’s bakery for some life-changing pan dulce. 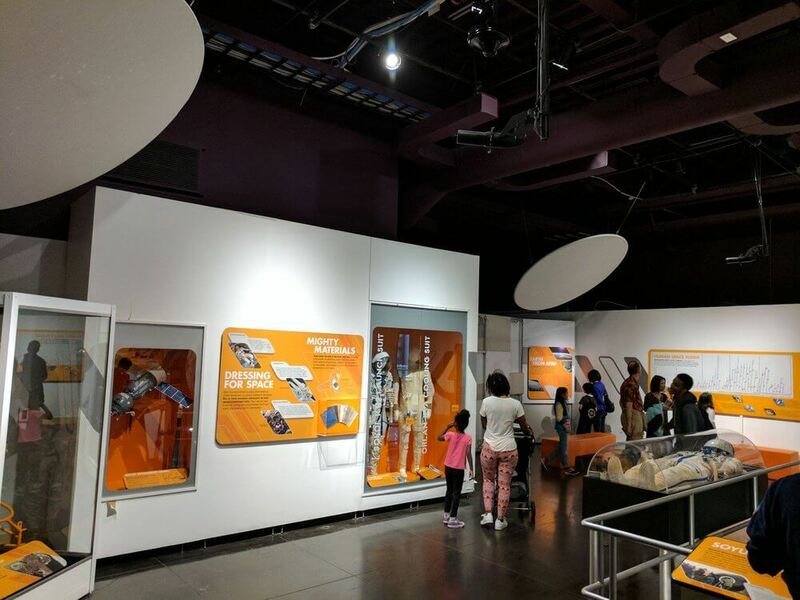 For all you intellectuals, Chabot Space & Science Center perfectly combines learning with interaction. And if you get tired of the excitable toddlers bobbing around, there are after-hours events every first Friday of the month where they serve alcohol and provide educational and interactive science exhibits. If you haven’t had enough nature-oriented experiences in Oakland, make sure to make this a pit stop, at least. During swim season, you can even take a dive in the lake and relax for a while. Or you can pass time by fishing or sunbathing—whatever you want. Because who doesn’t like being stuffed in a cramped, almost unseeable space? 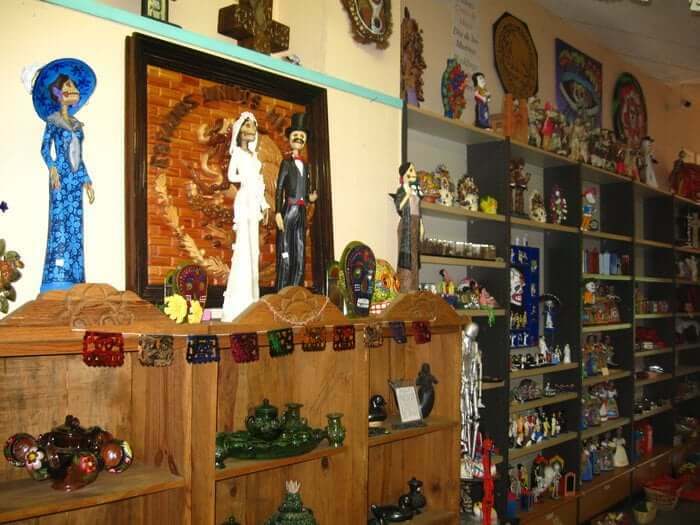 Trust me, once you’re inside, a salt-of-the earth man invites you into a spacious home where he and his wife have walls upon walls of different Mexican artwork, trinkets, clothing, books―you name it. The best part? Almost every single item in there was handmade by him or his wife. Some may deem this theater even more so authentic than the one at Jack London Square. The Grand Lake Theater screens popular movies and on Tuesdays until 5:45 pm, you can watch a flick (3-D movies included) for only $6. What a steal. The Bay and Boba prove synonymous in the minds of locals. At places like i-Tea, you may find luck on your side when one of the employees gives you a bigger cup than what you paid for just because they truly value their customers. They also have a buy-five-get-one-free deal, so if you’re with a group of friends, you can easily take advantage and try multiple flavors at once. “I like to get Boba in Oakland Chinatown because it’s cheap, convenient and good. It’s also nice to get out of Berkeley sometimes to relax with friends,” said UC–Berkeley senior Merry Wang. The Fox Theater epitomizes the proper show-watching experience. I’ve been to the Fox once to see the Roots, and the old-school theater-vibe perfectly juxtaposed with the raging hip-hop of the band. I wouldn’t miss a show here if it were up to me. “I like going to the Fox Theater when I can. 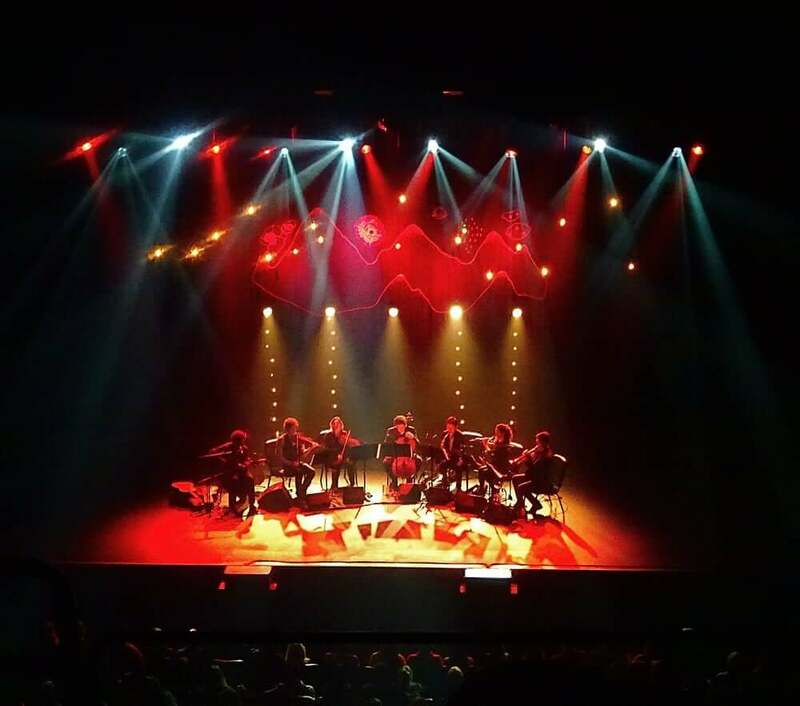 The building is beautiful and unique and there are lots of great little restaurants and cafes in the area to visit before or after a show,” said UC–Berkeley senior Nathan Carlson. This homely joint has become a hotspot for foodies; cramped and crowded with indulging customers. Every Oaklander loves Shandong, but will warn you to order takeout, since customers line up outside the door waiting to taste perfection. 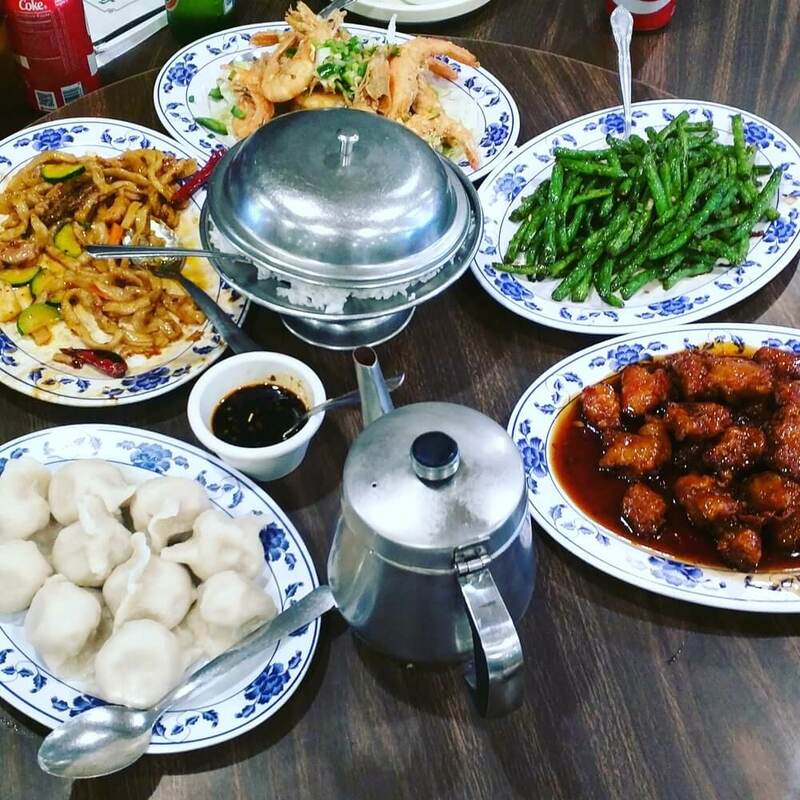 “Shandong is an amazing restaurant that serves authentic Chinese cuisines from szechuan spicy grub to dim sum; Oakland’s Chinatown can please the palate of any adventurous eater,” said UCLA junior Deanna Necula. Hiking might not come first to mind when you think of Oakland, but lo and behold, we have it: Grizzly Peak. “Grizzly Peak has the best view of San Francisco that you will ever see. The road to the site might be winding but you get the luxury of admiring the beautiful forests of the Oakland Hills,” said UCLA senior Oscar Tsukayama. 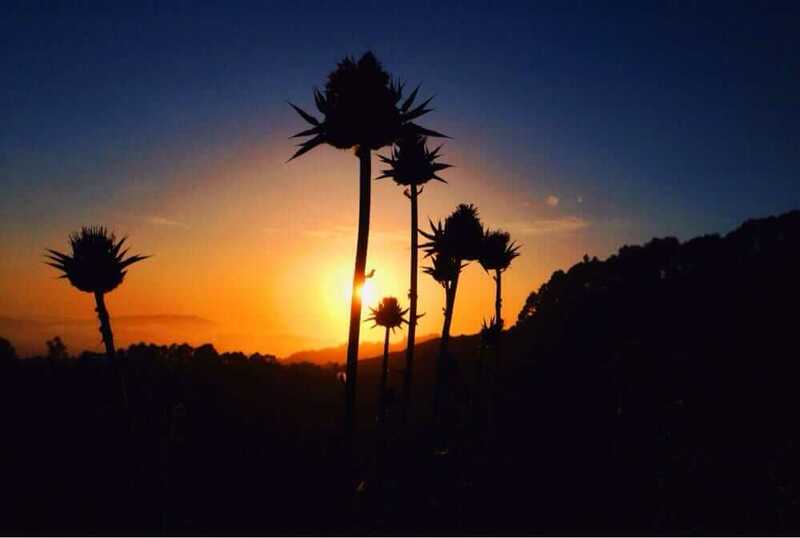 Plan a later-day hike: Grizzly Peak permits a view overlooking the Bay, and you can watch the sunset melt into night. 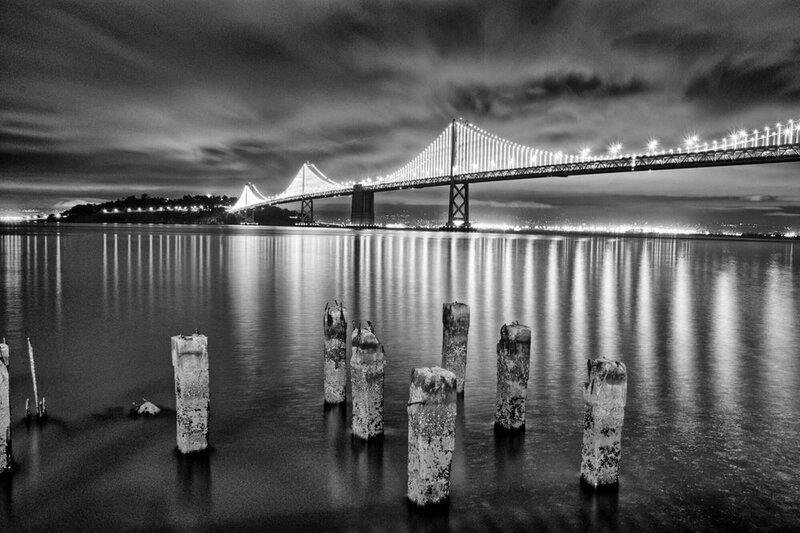 Don’t miss the sites of Alcatraz, Angel Island, Rockridge and Oakland before darkness emerges. Oakland First Fridays rivals, and in my opinion, surpasses those of bigger cities like Los Angeles in authenticity, quality and overall vibe. Hundreds of food trucks show up along with live performers and artists. “I love First Fridays in Oakland because it shows off the lively culture, artistic, and foodie side of the city! 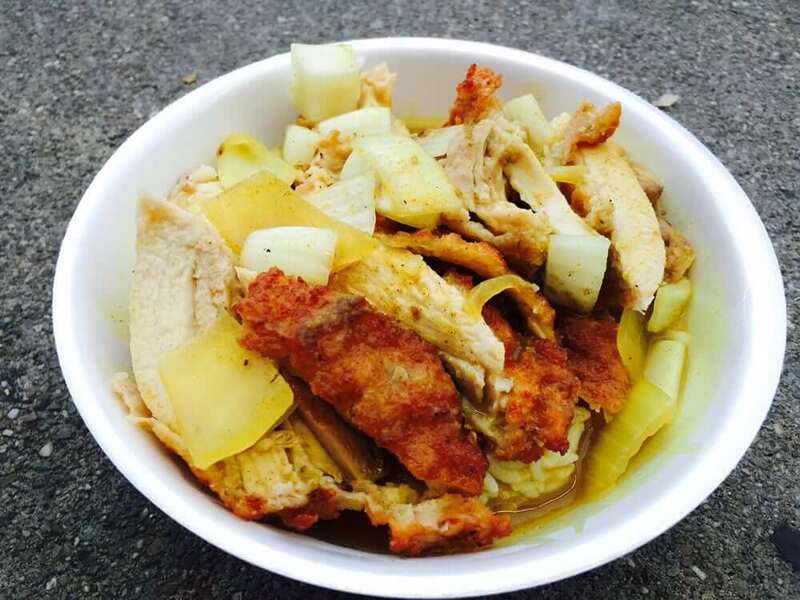 I had the best chicken and waffle dish there while listening to a jazz band,” said UC–Berkeley senior Amber Domako. 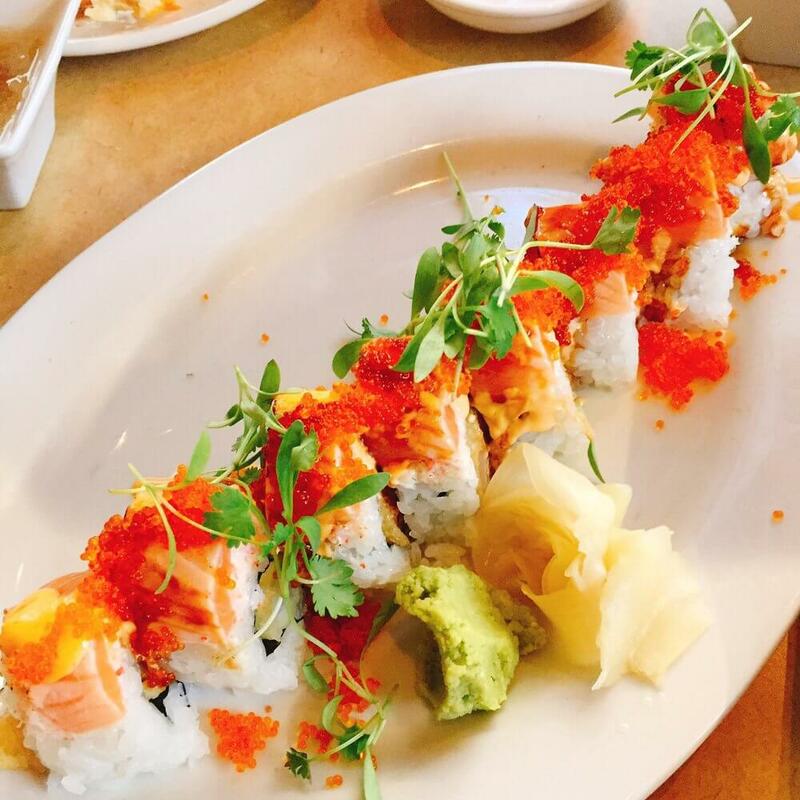 Yoshi’s makes for the perfect restaurant to bring a date. They have an excellent array of food, smooth wines and live jazz performances from artists around the world which happen almost every night. 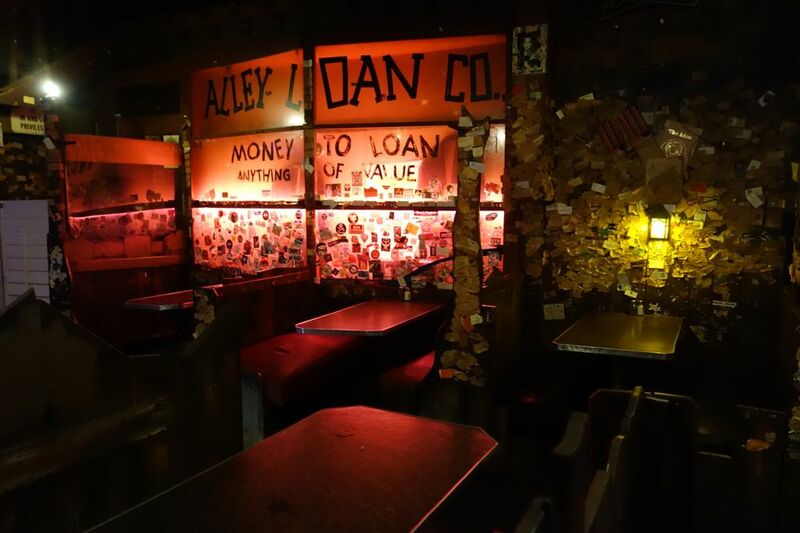 And if you’re not in the mood to eat and listen to live music, you can opt to sit in the section dedicated to quiet, intimate dining. 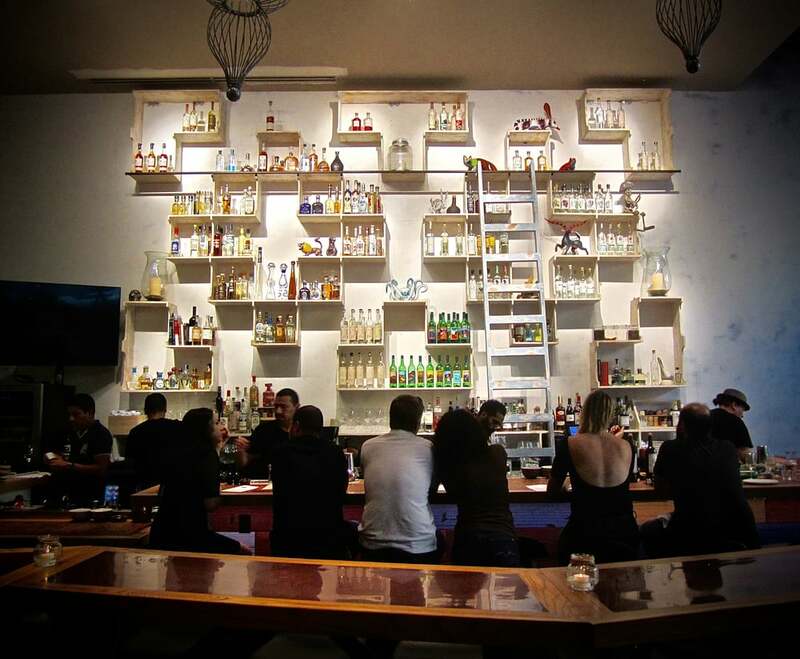 Get ready for a buzz because when you go to Calavera on a weekend, you’ll drink delicious cocktails the entire time. Known for their expertise in libations but also culinary creations, if you start to get the munchies while drinking, you can order tacos, enchiladas and other Mexican food for lunch and dinner at an affordable price. Pro tip: Order the carnitas tacos. You can thank me later. Fenton’s creamery never disappoints. Another perfect location for a date, Fenton’s huge desserts can easily take care of two starving people. 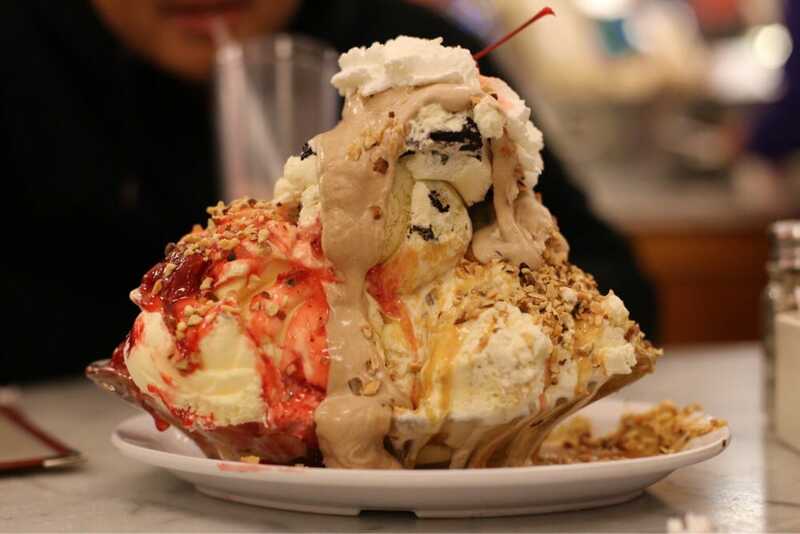 “Fenton’s creamery is amazing. Founder of rocky road ice cream, Fenton’s was featured in Pixar’s Up, and serves famously fat ice cream dishes,” said Tsukayama. The nostalgic setting, with spacious marble tables, checkered floors and black-and-white posters, gives off a 1950s sort of vibe. The old-school type of setting with flowing red curtains and retractable chairs makes Jack London Square an extremely popular spot in Oakland. 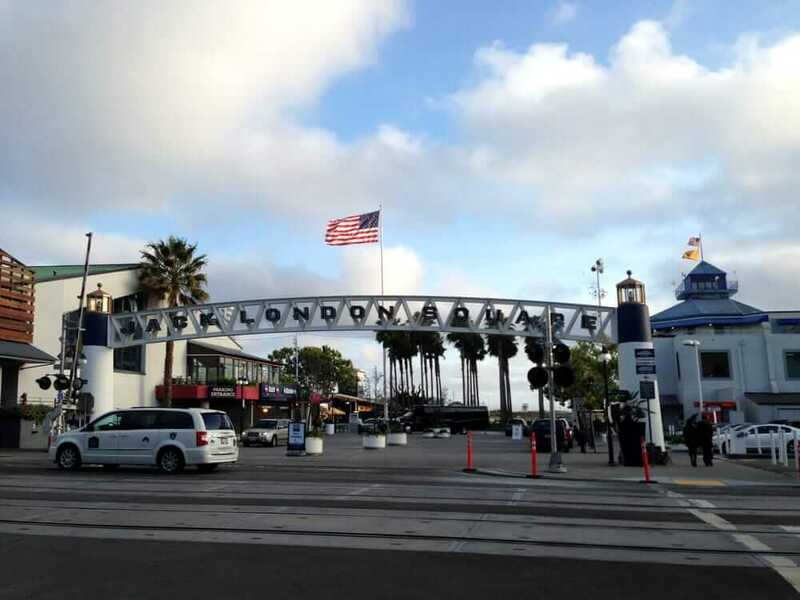 “I love going to Jack London Square to see movies there because we used to go to $5 Tuesdays and sneak into a second showing,” said UC–Berkeley senior Jose Alanis Regalado. The staff always greets you with a warm smile, and one-time deals on newer releases take place where, if you buy a ticket to a show, you can get a complementary poster or another piece of memorabilia associated with the movie. 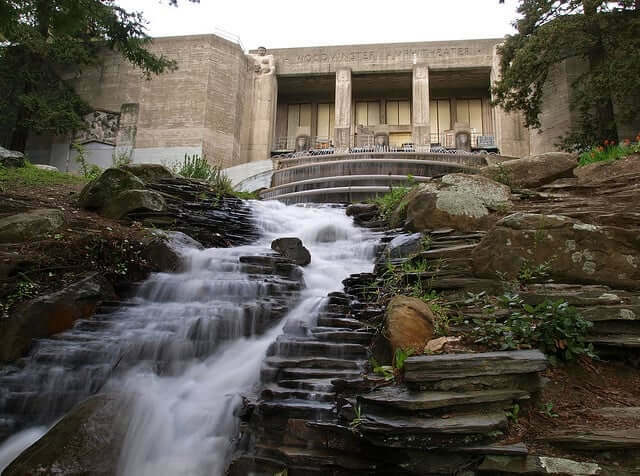 The Mountain View Cemetery might not also impress a date, but you still should check it out. On the wealthier side of the cemetery, you’ll see a mountain of impressive architecture for dead, rich white men to sleep eternally. 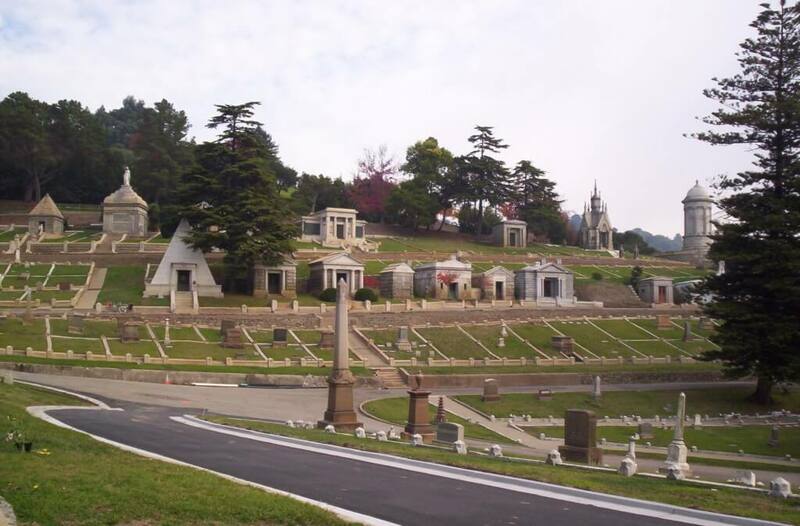 The resting place of railroad CEOs to the founder of Ghirardelli, this cemetery will keep you awestruck. “Mountain View cemetery has one of the best view spots in Oakland. I love going there for picnics with my friends,” said UCLA sophomore Megan Corbett. Get your karaoke on at this piano bar. Pianist and singer Rob Dribble, the oldest artifact in the bar, accompanies any singing act with his musical genius. He has played at The Alley for over 50 years, and knows 4,000 songs by heart, so he’ll almost certainly know your favorite song. Cheers! Twenty-four hour service and $1 donuts always win. 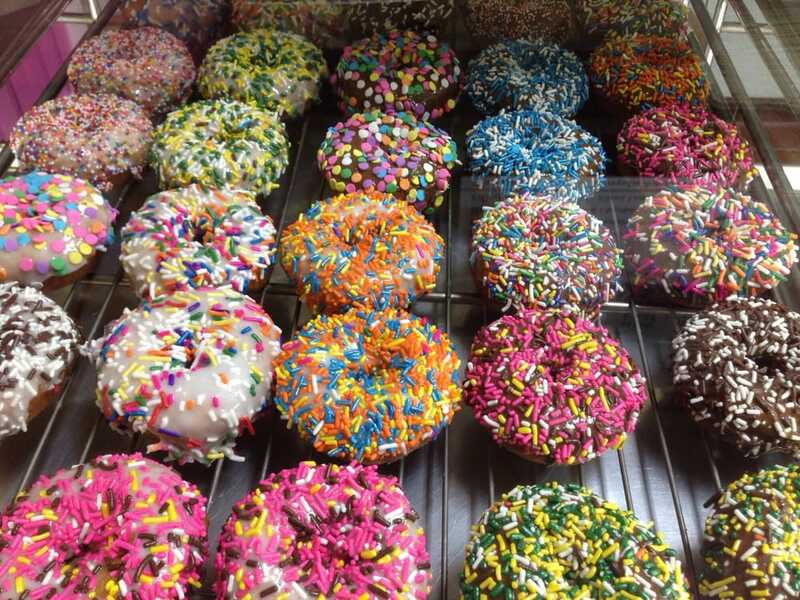 Covered in tags by local legends, Colonial Donuts stands out as a late-night classic. If you’re up for a real treat, challenge the owner to a game of chess while you eat your raised crumb and buttermilk donut. He’s notorious for holding a chess night with his most valued customers. 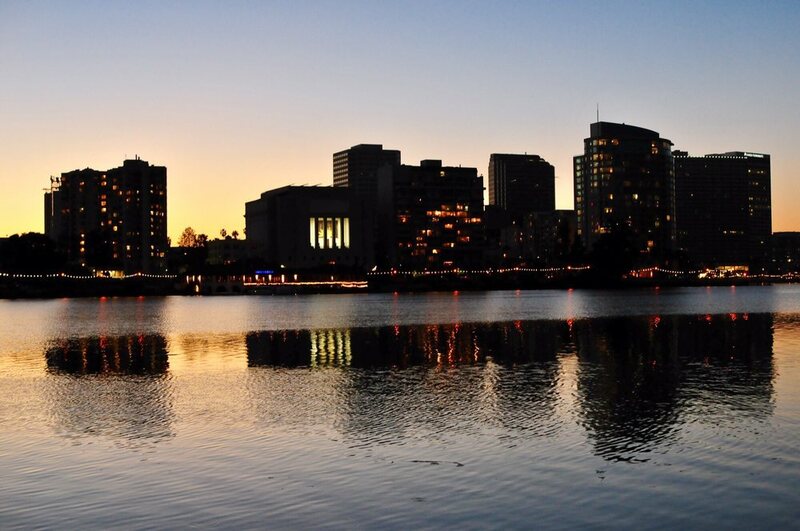 The first time I walked around Lake Merritt was an accident―my friends and I hobbled 3.4 miles because we didn’t know a way to get around to my car. Seeing apartments sit quietly across the lake, the infusion of city in contrast with a natural setting, or the poetic scribbling on some of the gazebos was well worth the lengthy walk. “It’s really cool biking, running, or walking across the Bay Bridge because you can go all the way to Treasure Island and have a good view of the Oakland Cranes, which has kind of become a symbol of Oakland,” said UCLA sophomore Taryn Gallagher. When visiting Oakland, you can’t miss the Bay Bridge. Built in 1936, the bridge was the most expensive of its time and stands as a monument of local pride to Oakland residents. The length of the path on the East Span of the Bridge only stretches to 2.2 miles, so if you don’t have much time, you can at least revel in beauty for a little bit. I am a fourth year English major at UCLA. I like music, literature, and trying to escape the inevitable.